Attention, selfie fans: if you love taking pictures of yourself, whether alone or together with your friends, you can’t miss this phone! Now, you can pre-order the new Gionee A1 phone on the company’s own website or offline. Let’s talk about its specs: The upcoming Gionee handset comes with a 5.5-inch Full HD AMOLED display with a pixel density of 401ppi. Under the hood, the new Gionee A1 is powered by an octa-core 2.0GHz Mediatek MT6755 Helio P10 and Mali-T860MP2 GPU with 4GB of RAM and 64GB of internal storage. If you think the memory is not enough, you can expand it up to 256GB using SIM 2 slot. The phone runs on the latest Android 7.0 version with Amigo OS 4.0 and packs a huge non-removable Li-Ion battery cell of 4010mAh. Enough to keep the light on, all day long! 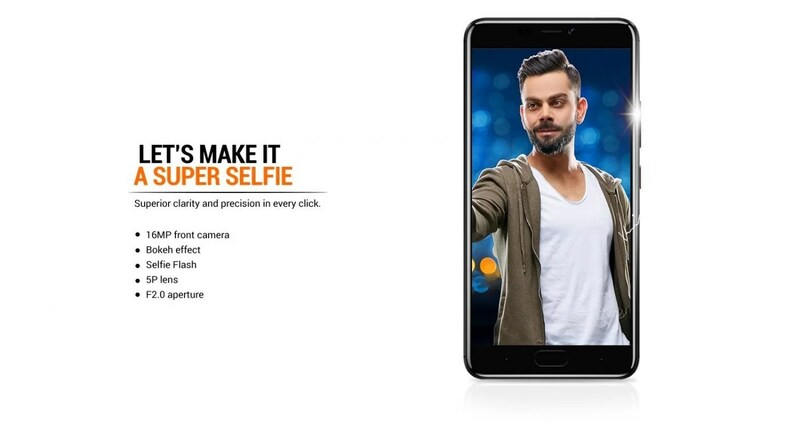 [/fusion_text][fusion_text]Moving on to the new Gionee A1 cameras, the phone’s highlight: the handset sports a 13MP rear camera on the back with f/2.0, 1/3″ sensor size, 1.12 µm pixel size, phase detection autofocus and single LED flash. The front shooter provides you excellent selfies with stunning 16MP, also with f/2.0 aperture and 1/3″ sensor size.